So there is not any confusion...... our name is still American Barn and Wood, not Wood City. Recently our business complex landlords installed a sign for ALL the businesses in our complex. 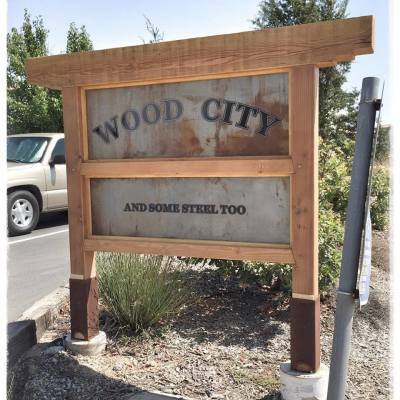 The complex is now called Wood City. A fitting name as the businesses include American Barn and Wood, Pacific Post and Beam, Allen's Wood Custom Working, and Sandel Wood Working. The subtitle to the sign "and some steel too" refers to Paladin Sheet Metal, Burn House Welding and Everson Fabrications.